Shooting for the stars, are we? 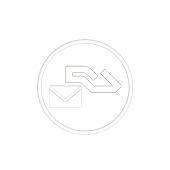 Deploy a killer email marketing campaign targeting Resident Advisor: Top DJs, Labels, Booking Agencies, A&R, music experts, music lovers. Buy this always up-to-date list of email contacts today and launch your music promotion in grand style. This music digital marketing package gives you an email list of 10,000 Resident Advisor subscribers. We update these things ourselves, through continuous work all over the music industry (especially electronic music, as you may know at this point).